West Bloomfield is a large township in Oakland County, Michigan. It’s a beautiful place to live with its many lakes, stunning county clubs, first-rate restaurants, and great shopping. West Bloomfield is also the golf lover’s dream. A plethora of beautiful country clubs including the Pine Lake County Club and the Shenandoah Country Club fill the township and attract golfers from all around. The restaurants in West Bloomfield are known for giving their guests wonderful dining experience with delicious food. Falafel King and J. Alexander’s Restaurant are among the favorites of the Lincorp/Borchert family. To learn more about the area, please visit the West Bloomfield Township website here. The above picture shows a West Bloomfield style kitchen remodel/addition. 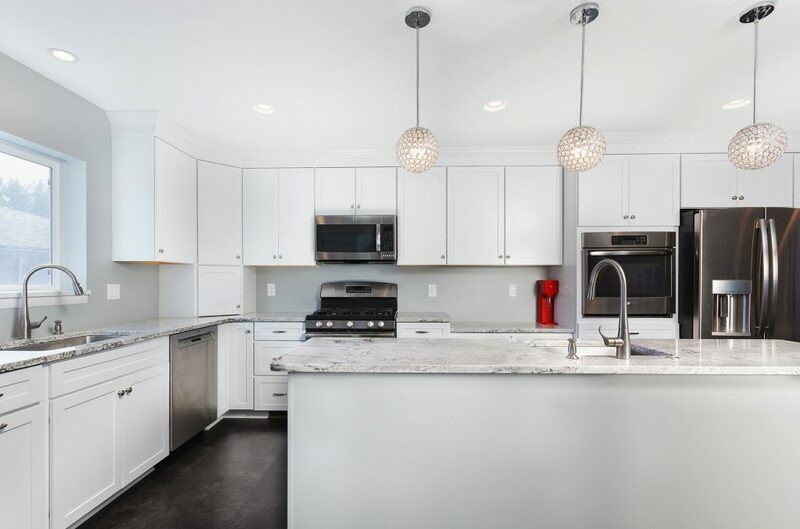 We expanded the back of the house outward to make room for this beautiful white kitchen. The homeowner now feels comfortable hosting large family events because she has extra space for her guests. The final picture shows another West Bloomfield style kitchen/addition remodel. 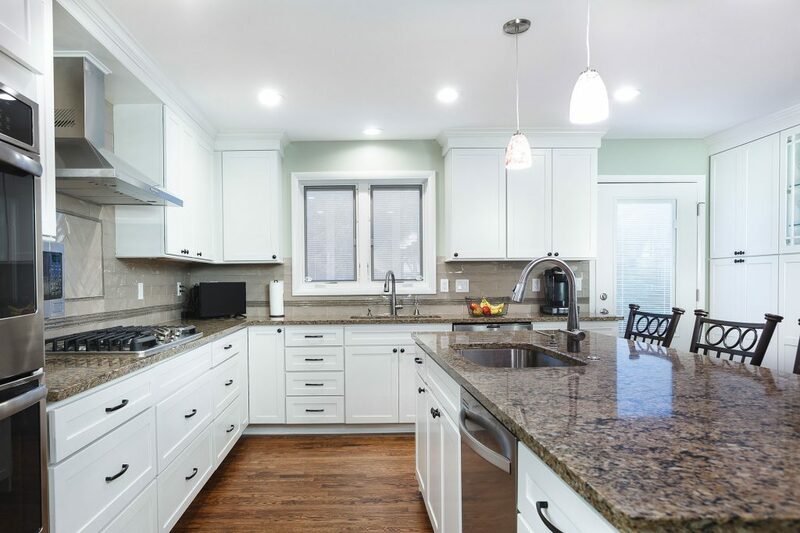 In this kitchen, the homeowner also decided to have us expand the back of the house to make some additional room for their family to move around. We tore everything out of the old kitchen, knocked down walls, and rebuilt the entire thing from scratch. The homeowners love the new kitchen! Contact us for more information about our remodeling process and how we can help you with your project. “After hearing dozens of horror stories about the remodeling process, dreaded the thought of re-doing my kitchen. But, as it was over thirty years old and no longer functional, couldn’t put it off any longer. 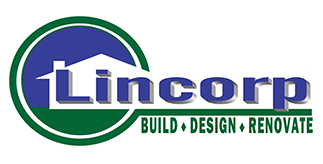 I visited several kitchen remodeling businesses and talked to three Contractors before choosing Lincorp to do the job.